Table of Contents for Physics of Fluids. List of articles from both the latest and ahead of print issues. We study the boundary-layer turbulence and freestream turbulence interface (BTFTI), the turbulent spot and freestream turbulence interface (TSFTI), and the laminar boundary-layer and freestream turbulence interface (LBFTI) using direct simulation. Grid spacings in the freestream are less than 1 Kolmogorov length scale during transition. Probability density functions of temperature and its derivatives are used to select the interface identification threshold, corroborated by a vorticity-based method. The interfaces so detected are confirmed to be physical a posteriori by the distinctive quasi-step-jump behavior in the swirling strength and temperature statistics along traverses normal to the BTFTI and TSFTI. No interface-normal inflection is detected across the LBFTI for either swirling strength, temperature, vorticity magnitude, Reynolds shear stress, streamwise velocity, normal velocity, or turbulence kinetic energy. The present direct numerical simulation data thus cast serious doubts on the shear-sheltering hypothesis/theory, which asserts that a subset of freestream fluctuations is blocked by the LBFTI. In the early stage of transition, quasi-spanwise structures exist on the LBFTI. The TSFTI shape is dominated by head prints of concentrated hairpin vortices. Further downstream, the BTFTI geometry is strongly modulated by groves of hairpin vortices (the boundary layer large-scale motions) with a distinct streamwise preferential orientation. Streamwise velocity and turbulence kinetic energy only exhibit minor plateaus (rather than quasi-step-jump) across the BTFTI and the TSFTI. We emphasize that it is more meaningful and important to acquire reproducible and reliable interface-normal statistics prior to considering any plausible substructures and elusive transient dynamics of the BTFTI, TSFTI, and LBFTI. The present study is aimed in providing a framework for applying different continuum models of relaxation processes in carbon dioxide flows. Kinetic equations for the distribution function are written taking into account the CO2 structure and various mechanisms of vibrational relaxation; collision operators for different internal energy transitions are derived. For weak non-equilibrium conditions, a one-temperature model is developed with emphasis to the bulk viscosity phenomenon. For strong non-equilibrium conditions, multi-temperature models are introduced, and their advantages and limitations are discussed. A general algorithm for calculating vibrational relaxation time in polyatomic molecules is proposed. Bulk viscosity coefficients are studied in the temperature range 200–2500 K; it is shown that uncoupling rotational and vibrational modes results in essentially overpredicted values of the bulk viscosity coefficient at low temperatures. The shock wave structure in CO2 is studied using the continuum models and compared with the solution obtained in the frame of the model kinetic approach; the effect of bulk viscosity on the shock wave width and temperature profile is evaluated. 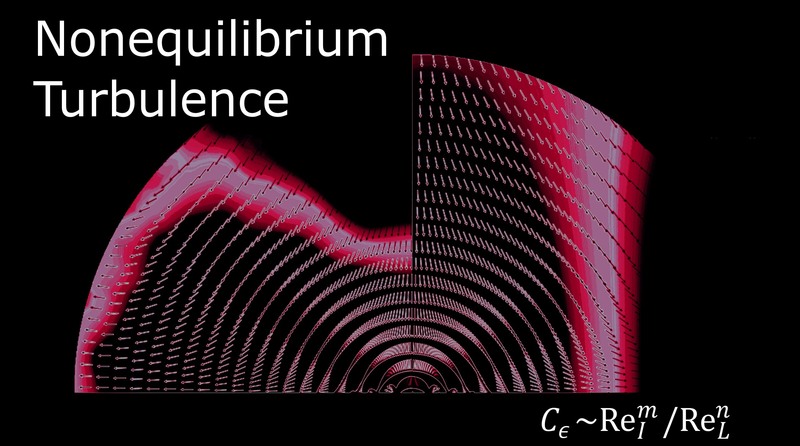 It is concluded that well justified choice of the model extends considerably the range of applicability of the continuum approach for non-equilibrium flow simulations. Gradient schemes for the cell centered finite volume method on unstructured grids, namely, the divergence theorem and the least squares schemes, have been widely adopted because they have reached a high precision for most applications. These schemes assume continuously differentiable fields for the calculation of the gradients. However, this assumption is violated in the vicinity of conductivity jumps between cells. It is shown that this deficiency leads to a wrong calculation of the gradients and thus the flux density in cells near conductivity changes. For large conductivity jumps, the error of the flux density can exceed several orders of magnitude. Based on theoretical considerations, flux conservative versions of the schemes are derived for the central gradient scheme and extended to the divergence theorem and least squares schemes. The modified schemes named flux conservative divergence theorem and flux conservative least squares take the nonlinearity of a conservation variable near conductivity changes into account and eliminate the error made by the assumption of a continuously differentiable field. The schemes are demonstrated on Cartesian and highly skewed grids with different grid resolutions with a large conductivity jump. The error of the flux density is shown to be reduced by several orders of magnitude up to machine precision for Cartesian grids. Reynolds number (Re) for miniature insects is in the range of 80–10. Here, we study how the aerodynamic forces change in this Re range when the flapping mode commonly used by larger insects is employed and explore the physical reasons for the change. We find that at Re below ∼70, the lift decreases and the drag increases rapidly with decreasing Re. This can be explained as follows. In this Re range, the viscous effect becomes very large. Much of the clockwise (CW) vorticity in the leading-edge vortex is diffused to be far above the wing and moves backward relative to the wing, and some of the counterclockwise (CCW) vorticity in the boundary layer at the lower surface of the wing is diffused to be more forward, and the boundary layer becomes thicker. This results in less CW vorticity moving with the wing and less CCW vorticity moving backward of the wing, causing a reduction in the time rate of change in the vertical component of the total first moment of vorticity, i.e., the reduction in the lift. The above changes in vorticity distributions also increase the vertical distance between the CW vorticity and the CCW vorticity, causing an increase in the time rate of change in the horizontal component of the total first moment of vorticity, i.e., the increase in the drag. These results show that if miniature insects flap their wings as the larger ones do, the aerodynamic forces required for flight cannot be produced and new flapping mode must be used. Liquid penetration analyses for porous media are of great importance in a wide range of industrial applications including, but not limited to, water infiltration in complex soil, hydrocarbon recovery, and liquid seepage through sediments. Depicting the details of two-phase flow in porous media is challenging due to the complex fluid-solid interaction in porous structure. In the present work, we use the three-dimensional multiphase lattice Boltzmann model with a large density ratio to investigate the droplet and liquid layer penetration in complex porous media. It is found that lower porosity leads to larger interactions at the liquid-solid interface and causes stronger drag force acting on the droplet. Both hydrophobic and hydrophilic substrates tend to facilitate droplet migration from the outside to the inside of the porous media. Decreasing the interfacial tension enhances liquid deformation and results in more liquid breakup. Due to the large total momentum dissipation, an increased viscosity ratio causes a reduction of the penetration rate. Even with identical porosity, the pores in parallel to the gravitational force, compared with the perpendicular structure, make the drag force relatively smaller, leading to a faster penetration and stretching interfaces. Overall, this work not only demonstrates the capacity of the multiphase lattice Boltzmann method but also sheds some light on the mechanism of droplet and liquid layer penetration through the porous media. This work investigates the species separation in the rarefied flow of the argon-helium mixture through convergent-divergent micronozzles. Imposing a molecular mass ratio in the order of 10, the flow of this mixture can lead to the formation of serious nonhomogeneous phenomena such as the species separation. This study is performed in the ranges of 2.0–4.0 for the geometrical expansion ratio, 200–400 K for the wall temperature, and 0.003–1.454 for the inlet Knudsen number. The effects of these parameters are examined on the separative performances of micronozzle. The direct simulation Monte Carlo method is selected as the solution method because it can provide reliable solutions in the current rarefied flow regime study. The current study reveals two important separative effects in the mixture flow through micronozzles. The first effect is the lateral species separation, which results in the enrichment of heavier species near the centerline. The second effect is the streamwise separation, which leads to the enrichment of one species, mostly the lighter one, as the mixture passes through the micronozzle. The current results show that increasing the expansion ratio will enhance the lateral separation monotonically. However, there are specific wall temperature and Knudsen values, which can result in optimum lateral separative effects. In addition, it is observed that the expansion ratio has little effect on the streamwise separation. However, increasing either the wall temperature or the Knudsen number will enhance the streamwise separation, albeit with a limiting value at very high Knudsen numbers. Efficient detection of hidden volatile substances in soil requires understanding the mechanisms governing their retention or transport through porous medium. In order to increase the mass transfer rate of the hidden volatile substances, it was suggested in this work to apply forced-convection (filtration) in addition to diffusion by using a gas jet impingement vertically onto the soil (a granular bed; sand). Pressure distribution in the granular bed is studied analytically using the methods from the theory of functions of complex variables. The filtration/granular bed interaction involves the soil permeability, grain size, and jet pressure and impinging velocity. Soil failure due to the filtration-imposed forces is formulated as the Mohr-Coulomb criterion, which involves the angle of internal friction and the cohesion of grains. A comprehensive experimental investigation of the filtration pressure distribution and the jet-driven erosion of granular material is presented here. The experiments were conducted by combining a special pressure-measurement technique allowing for a simultaneous accurate detection of the crater onset and the subsequent evolution of the granular bed. The theoretical predictions are compared to the measured pressure field in the granular bed. In this work, we describe the acoustic radiation force (ARF) and torque acting on a pair of cylindrical particles induced by two Airy beams. The finite series expansion method and the addition theorem of the cylindrical Bessel function are used to analyze the acoustic scattered field by a pair of cylindrical particles in an effective incident acoustic field. The mathematical expressions for the ARF and the torque functions in multiple acoustic scattering by a pair of cylindrical particles are obtained. The influences of the phase difference, the beam distance, and the beam amplitude on the ARFs and torques are taken into consideration. The numerical examples illustrate that greater negative or positive forces on the two cylindrical particles emerge by adjusting the phase difference, the distance, or the amplitudes of the two Airy beams, which make it easier to separate the particles. The values of the torques will also increase or change between the positive and the negative, which increase the particles’ rotation velocity or change the particles’ rotation direction. This work will be conducive to the development of acoustic tweezers for polymer drugs separation (or cells separation) in medical domain. A fluid experiment was conducted on China’s SJ10 satellite to assess the instability of thermocapillary convection under microgravity. Oscillations of thermocapillary convection in an annular pool were investigated when the difference in temperature exceeded a certain threshold. Dynamics and transitions of the wave pattern were observed using an infrared camera. This work is concerned with the effect of the surface configuration on the wave patterns. There are 3 types of surface configurations that depend on the volume ratio: Vr < 0.77 (zone 1), 0.77 < Vr < 1 (zone 2), and Vr > 1 (zone 3). An irregular local wave occurs at Vr < 0.65, and a regular azimuthal wave occurs at Vr > 0.65. We observed the regular wave with the wavenumber m = 3 in zone 1 and zone 3 and the competition between m = 3 and m = 4 in zone 2. The nonlinear dynamics of traveling waves, standing waves, and counterpropagating waves were studied. The standing wave appears near the onset and transitions to the traveling wave. With a similar mechanism, counterpropagating waves with m = 3 and m = 4 occur in some cases at the onset. Additionally, counterpropagating waves also act as a transitional mode when the traveling wave transitions from m = 4 to m = 3. The traveling wave is very stable, but it develops into standing waves or Benjamin-Feir instability under highly supercritical conditions. In this paper, we develop a three-dimensional multiple-relaxation-time lattice Boltzmann method (MRT-LBM) based on a set of non-orthogonal basis vectors. Compared with the classical MRT-LBM based on a set of orthogonal basis vectors, the present non-orthogonal MRT-LBM simplifies the transformation between the discrete velocity space and the moment space and exhibits better portability across different lattices. The proposed method is then extended to multiphase flows at large density ratio with tunable surface tension, and its numerical stability and accuracy are well demonstrated by some benchmark cases. Using the proposed method, a practical case of a fuel droplet impacting on a dry surface at high Reynolds and Weber numbers is simulated and the evolution of the spreading film diameter agrees well with the experimental data. Furthermore, another realistic case of a droplet impacting on a super-hydrophobic wall with a cylindrical obstacle is reproduced, which confirms the experimental finding of Liu et al. [“Symmetry breaking in drop bouncing on curved surfaces,” Nat. Commun. 6, 10034 (2015)] that the contact time is minimized when the cylinder radius is comparable with the droplet radius. Three-dimensional numerical computations have been carried out for flow past a surface mounted finite height circular cylinder using Open Source Field Operation and Manipulation. Flow field characteristics have been investigated for fixed Reynolds number equal to 300 and varying aspect ratios (AR being the ratio of height to diameter of the cylinder) from 1 to 5. The effect of nonuniform flow (linear shear) with shear intensity (K) ranging from 0 to 0.3 on flow field characteristics has been examined using iso-Q surfaces and streamline plots. Three different flow regimes are reported based on the values of AR and K: steady flow, symmetric mode, and antisymmetric mode of vortex shedding. The formation of critical points (impingement point, source, and spiral node) has been explained using the time-averaged flow field in the longitudinal plane of symmetry. Surface flow topology has been presented with the help of limiting streamlines on the surface of the cylinder. Variation in mean drag coefficient with a change in K has also been reported. Unsteady periodic and aperiodic wake flows have been characterized using the Hilbert spectra of the transverse velocity signal at a point in the wake. The extent of nonlinear interaction in the wake and its influence on frequency distribution have been analyzed using marginal spectra and quantified in terms of degree of stationarity. The unsteady cavitation typically includes three processes: the growth of cavitation, the instability and shedding of cavitation, and the collapse of cloud cavitation and the regeneration of attached cavitation. In this paper, the unsteady features of the cavitating flow past a sphere are investigated. A detached eddy simulation turbulence model and a transport equation cavitation model are used to model the cavitating flow. The numerical results give the unsteady process of cavitation at different cavitation numbers (0.36 < σ < 1.0), which cover the cavitation state from inception to supercavitation. When the cavitation number 0.8 < σ < 1.0, the flow instability belongs to the single frequency mode; when the cavitation number σ < 0.8, the flow instability becomes the dual-frequency mode. We analyzed the Strouhal (St) number based on the length of the cavitation and found that the St numbers are stable around 0.5 and 0.2 in the dual-frequency mode. In this mode, the high frequency corresponds to the frequency of the large-scale cavity shedding caused by repeated re-entrant jets. The low frequency, caused by the combination of wake flow and cavitation, is close to the natural frequency of the sphere. In addition, the cavity leading edge position and cavity morphology are analyzed in details. Some of the numerical results are compared with existing experimental data. Three-dimensional large eddy simulations were carried out to investigate the flow around two tandem circular cylinders at a subcritical Reynolds number of Re = 103. The cylinder center-to-center spacing ratio L/D is varied from 1.25 to 6, where D is the cylinder diameter. In order to enhance the understanding of flow physics around two circular cylinders, particular attention is devoted to fluctuating forces, shear-layer reattachment, flow separation, wake recirculation, Strouhal number (St), and phase lag (ϕ) between the fluctuating lift of the two cylinders. The flow structure around the cylinders is highly sensitive to L/D. A change in L/D thus leads to overshoot flow (L/D ≤ 1.25), reattachment flow (1.5 ≤ L/D ≤ 3.5), and coshedding flow (L/D ≥ 4). The boundaries are characterized by drastic changes in the flow structure and a discontinuous drop/rise in St and forces. The St drops at the boundary between overshoot and reattachment flow regimes and jumps at the boundary between reattachment and coshedding flow regimes, while fluctuating forces and ϕ both jump at both boundaries. The flow separation on the downstream cylinder is much delayed (122°–128°) in the reattachment flow regime compared to that on the single cylinder (95°) or upstream cylinder (92°–95.5°). The fluctuating pressure on the entire surface of either cylinder is low for the overshoot flow because the two cylinders are enclosed by the upstream-cylinder-generated shear layers having the longest wake recirculation. The ϕ is almost zero in the overshoot flow. With increasing L/D, ϕ linearly increases in the reattachment and coshedding regimes with different gradients, larger in the latter regime than in the former, by nearly twice. The activated structural degree of freedom often causes undesirable large-amplitude structural vibrations in unstable flows, such as the frequency lock-in phenomenon in the transonic buffet flow. The underlying mechanism is the instability characteristic of the system that becomes more complex, namely, further instability on the structural mode because of the effect of fluid-structure interaction. In this paper, we study the feasibility of improving the stability of the transonic buffet flow by activating the structural degree of freedom based on numerical simulations and a low-dimensional model. Results reveal that the activated structural degree of freedom can stabilize the buffet flow, eliminating the source of the oscillatory flow. The essence of this strategy is to efficiently utilize the coupling effect between the structural mode and the fluid mode to improve the stability of the fluid mode by properly decreasing the stability margin of the structural mode. From another perspective, this approach is a new passive-feedback flow control strategy, which does not change the shape of the subject compared with the classical passive control and which does not need extra actuation and power compared with the active control. The strong bubble interactions and bursting behaviors near a free surface are studied numerically with a compressible two-phase flow solver. The interface is captured by the volume of fluid method. We investigate the effects of the dimensionless distance between the bubble and the free surface γf (scaled by the maximum bubble radius) ranging from 0.25 to 1.5. For the nonbursting cases, the essential evolution of the toroidal bubble is well captured, including the splitting, coalescence, and recollapse. Generally, a relatively thin spike is generated at the free surface during the first cycle of the bubble. Subsequently, a wider secondary spike at the base of the first spike is formed during the second bubble cycle, which leads to the formation of the crown-shaped spike. When γf is sufficiently small, the bubble bursts at the free surface and an opening cavity is generated. The pressure inside the cavity and the atmospheric pressure are not balanced immediately, and the pressure difference lasts for a while, causing the inward gas flow and the final closure of the cavity. The gas flow is found to play a vital role in the bubble bursting behaviors, which has not been well understood. By comparing with previous studies, three distinct bursting patterns are identified and discussed. Technical activities on seafloor for harvesting polymetallic nodules result in a displacement of a large amount of sediment, which is convected away from the site by the underlying currents and turbulent diffusion, with a possible impact on the benthic communities living in the neighborhood. To better understand the dispersion mechanism of the resuspended sediment, a smoothed particle hydrodynamics technique augmented by a message passing interface parallel algorithm to address the intensive demand on the three-dimensional simulations is developed. Our numerical results show that the resuspended sediment would occupy a downstream area extending to about 5 km, for a nominal current speed of 5 cm/s. The evolution of the sediment plume occurs mainly along the current direction, while the turbulent diffusion disperses the sediment laterally. Coarse sediment particles are found to return to the seafloor fairly quickly after being resuspended, while fine particles are more persistent in the suspended state and travel much further downstream. In 900 tons of sediment resuspended for 18 h, 318 tons have returned to the bottom at the end of the simulation period. The majority of the deposited sediment is composed of coarse sediment particles (d > 60 μm), and almost half of the deposited sediment is distributed within the harvesting region. The sediment deposition rate reaches up to 48% of the resuspension rate and is still rising after 18 h. The horizontal turbulent diffusivity, which is supposed to be weak at the ocean bottom, does not have any obvious influence on the dispersion of the resuspended sediment; it only slightly reduces the deposition rate. This study proposes a new formulation for the Harten, Lax, and van Leer (HLL) type Riemann solver which is capable of solving contact discontinuities accurately but with robustness for strong shock. It is well known that the original HLL, which has incomplete wave structures, is too dissipative to capture contact discontinuities accurately. On the other side, contact-capturing approximate Riemann solvers such as HLL with Contact (HLLC) usually suffer from spurious solutions, also called carbuncle phenomenon, for strong shock. In this work, a new accurate and robust HLL-type formulation, the so-called HLL-BVD (HLL Riemann solver with boundary variation diminishing) is proposed by modifying the original HLL with the BVD algorithm. Instead of explicitly recovering the complete wave structures like the way of HLLC, the proposed method restores the missing contact with a jump-like function. The capability of solving contact discontinuities is further improved by minimizing the inherent dissipation term in HLL. Without modifying the original incomplete wave structures of HLL, the robustness for strong shock has been reserved. Thus, the proposed method is free from the shock instability problem. The accuracy and robustness of the new method are demonstrated through solving several one- and two-dimensional tests. Results indicate that the new formulation based on the two-wave HLL-type Riemann solver is not only capable of capturing contact waves more accurately than the original HLL or HLLC but, most importantly, is free form carbuncle instability for strong shock.